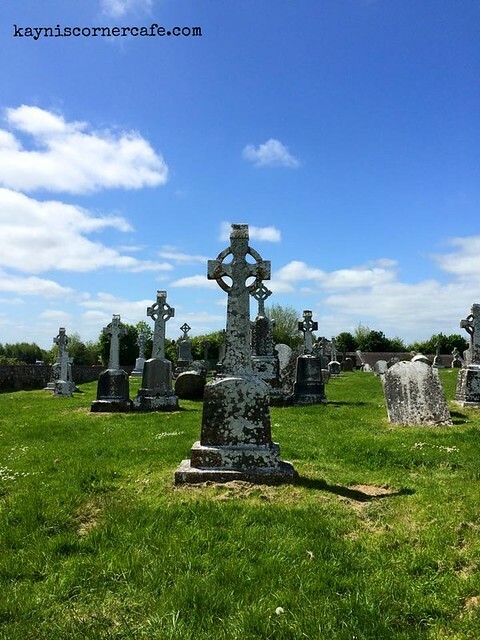 We visited Clonmacnoise on our way to Galway. Clonmacnoise is in County Offaly on the River Shannon south of Athlone. It was founded in 544 by St. Ciarán. Terrific shot against that sky. Those Celtic crosses are beautiful! I love the cross and the pretty sky! Lovely capture! Happy Friday, have a great weekend! Oh, yes, you brought some memories to mind. Saw this beautiful part of the world some years back with my daughter. I was there two times in holiday. And I love the view down to the River Shannon. Fantastic capture! What a wonderful trip you are having. Really enjoyed scrolling around. Oh so happy you are back to travelling. I see you are in Ireland. Enjoy it. It's a place a need to visit someday. Ang nice ng cemetery nila, in fairness. the color doesn't need filter, plus, i can't wait to see more of Dublin and its environs.